Host your event at Rudding Park - voted Best Hotel in England (Visit England 2018) and a decade in TripAdvisor's Travellers Choice Award 2018. Rudding Park combines contemporary design with traditional elegance. The 90 bedroom luxury hotel features spa bedrooms & suites with en-suite steam room, sauna or spa bath. 3 AA Rosette Horto and 2 AA Rosette Clocktower Restaurants, a destination spa (voted Best New Spa in the UK) , gym, conference and banqueting, 14 seat cinema, ex 18 hole golf course and six hole short course. As a business venue, our rooms cater for small events to large conferences for up to 350 people. Many event rooms are located in Grade I Rudding House, blending contemporary design with traditional elegance. Each room benefits from beautiful views over the golf courses and gardens. We offer flexibility and creativity and our events team will be able to assist with all stages of the day. Corporate activities can also be incorporated and are available on site. Exit the A1(M) at Junction 47 signposted Harrogate, Knaresborough and take the exit off the roundabout on to the A59. For the next four consecutive roundabouts take the second exit signposted Bradford. After the fourth roundabout follow the brown tourist signs to Rudding Park. Rudding Park has excellent communications by rail; Harrogate Railway Station is within 3 miles, whilst Pannal Railway Station is only 2.5 miles away and can be reached in just over 5 minutes by road. Terms and conditions: Minimum number of 8 delegates and maximum of 20 applies. Must be pre-booked and is subject to availability. Why meet in a coffee shop when you can meet at Rudding Park with a private room including unlimited teas and coffee and the convenience of free parking. Includes free wifi, flip chart and notepads. Tea and coffee will be placed in the room so you can help yourself. Choose to add soup and a sandwich £10 per person. Terms and conditions: Offer is based room hire only and the tea and coffee will be placed in the room so you can help yourself. Must be pre-booked and subject to availability. You can also upgrade to a working lunch served in the meeting room for £5, or to a buffet lunch served in a separate room for £10. You can also upgrade to a working lunch served in the meeting room for £10 or to a fork buffet served in a separate room for £20. 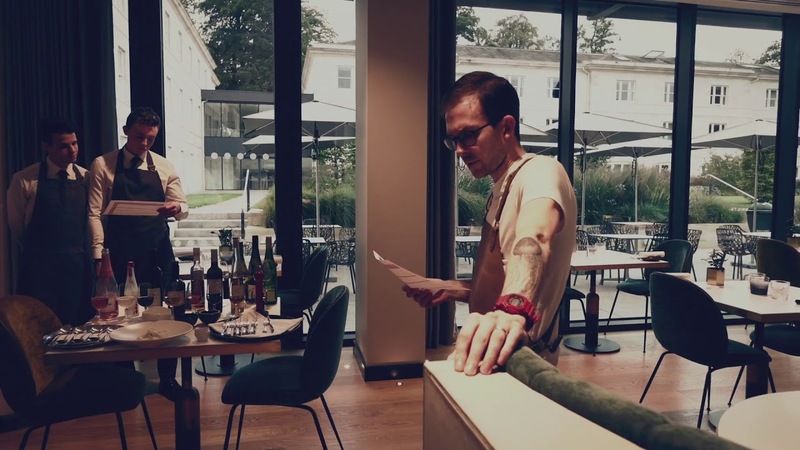 If food is your passion, Horto Restaurant offers contemporary fine dining using ingredients from Rudding Park Kitchen Garden and as such the menu is dictated by nature and the flair of the Chef and the skill of the gardener. Alternatively, choose Clocktower, which uses seasonal ingredients served in stunning surroundings. Dine in the restaurant underneath the striking pink glass chandelier from Nice, relax in the bright and airy conservatory alongside the 400 year old olive tree or enjoy a drink at the bar. For golf enthusiasts, choose from the 18 hole parkland Hawtree and to the 6 hole Repton Short Course which includes a replica of the notorious island hole at Sawgrass, Florida. There is something to tempt even the most seasoned Pro, as well as the novice. A team of resident PGA Professionals, cutting edge practice facilities and an 18 bay floodlit driving range make Rudding Park Golf Academy the ultimate golfer’s venue. For Weddings, Rudding House and mature gardens are an idyllic venue for this special occasion. Overlooking the 19th century parkland, the light, airy rooms with their high ceilings and full length windows give a feeling of grandeur to every wedding. From the beautiful spring time daffodils to the vibrant rhododendrons and azaleas, the grounds provide a stunning backdrop for your photographs and a wonderful setting for your reception drinks. Rudding Park Chapel with beautiful stone carvings, makes it a lovely venue for a wedding blessing. Your dedicated wedding co-ordinator will guide you along the way from your initial enquiry through to all your planning meetings.